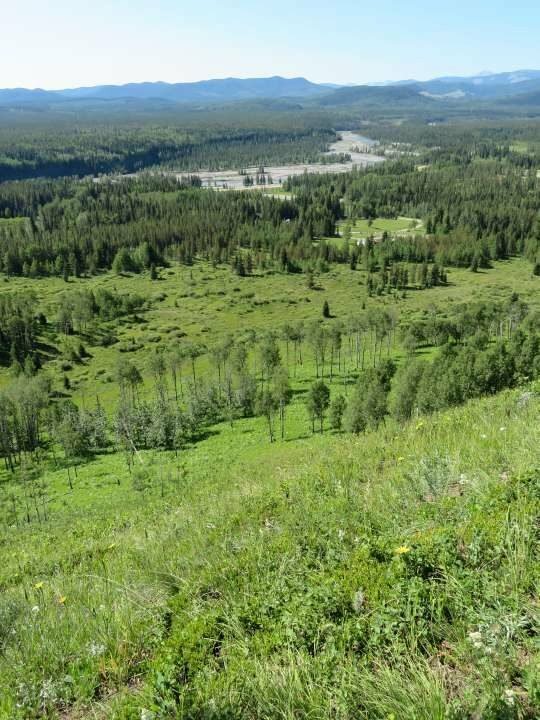 Looking for good solo hikes near Calgary I found Fullerton Loop on the AllTrails app. I wanted to do two hikes so I chose Fullerton for the morning hike. A short drive to Bragg Creek for lunch. 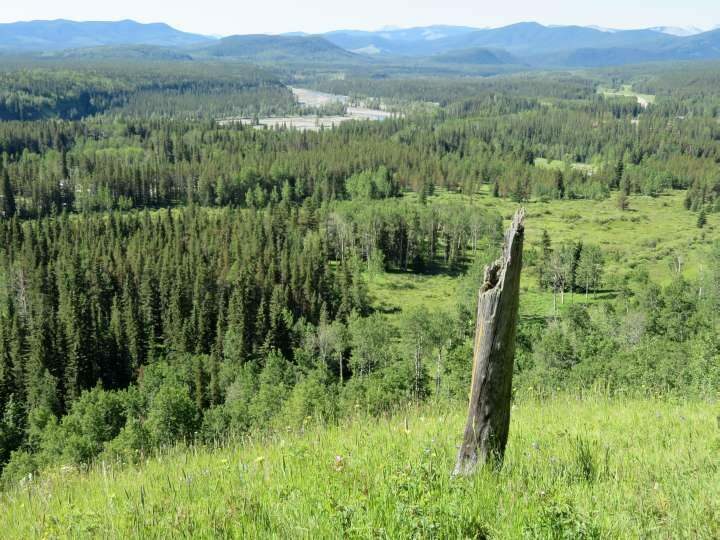 Followed up with a hike at Brown Lowery Provincial Park on the way back to Calgary. What a wonderful way to spend a day in beautiful Kananaskis Country Alberta. 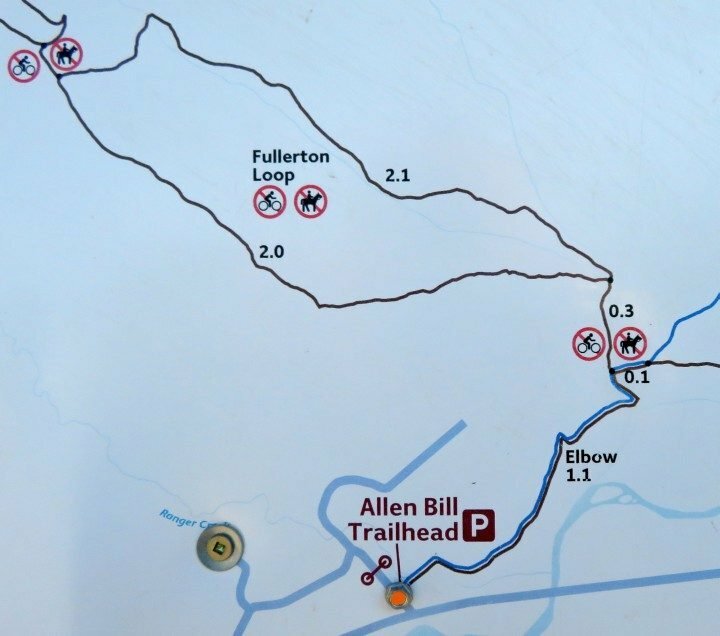 Fullerton Loop is open year-round and it would be a nice winter hike with ice cleats (crampons) or snowshoes if there’s plenty of snow on the trail. The parking lot is on Ranger Creek Road, just off of Hwy 66. 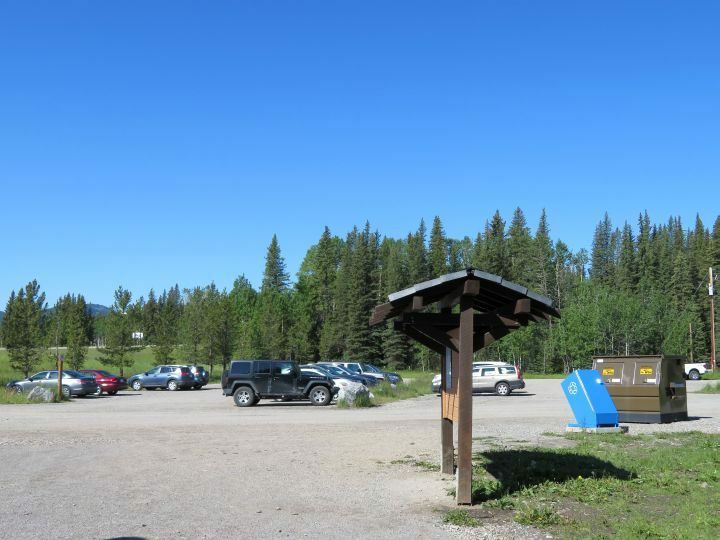 There is parking on both sides of the highway and it’s worth walking across to view the Elbow River at Allen Bill Day Use parking area. At the trailhead there are washrooms and garbage and recycling bins as well as a map of the trail. Before starting any hike I like to take a photo of the trail map in case I want to review the trail route while I’m hiking. Getting to the loop portion of the trail takes around 20 minutes. 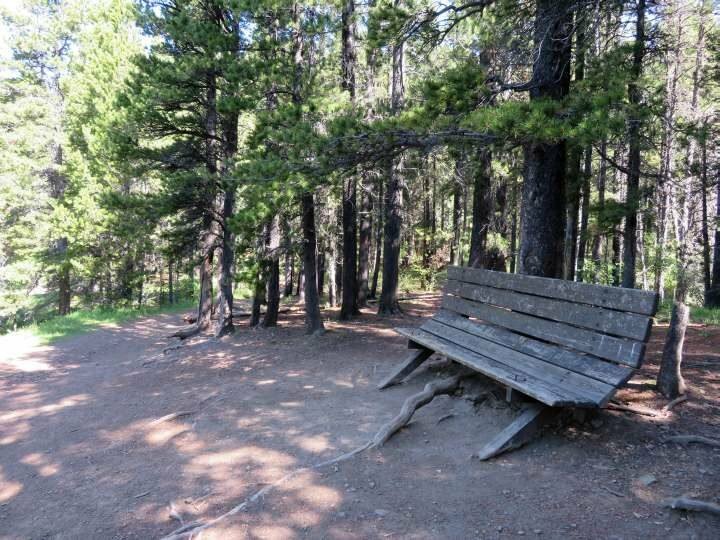 Look to the right for views of the Elbow River and once you get into the forest area the trail crosses a stream. Once you get to the loop portion of the trial you will see a set of wooden stairs to the left and regular trail to the right. This is where you choose which direction to do the loop. Right is easier and left (stairs) is more difficult. If you take the stairs there is quite a sharp incline and pretty much all of the elevation gain is at this portion of the trail. 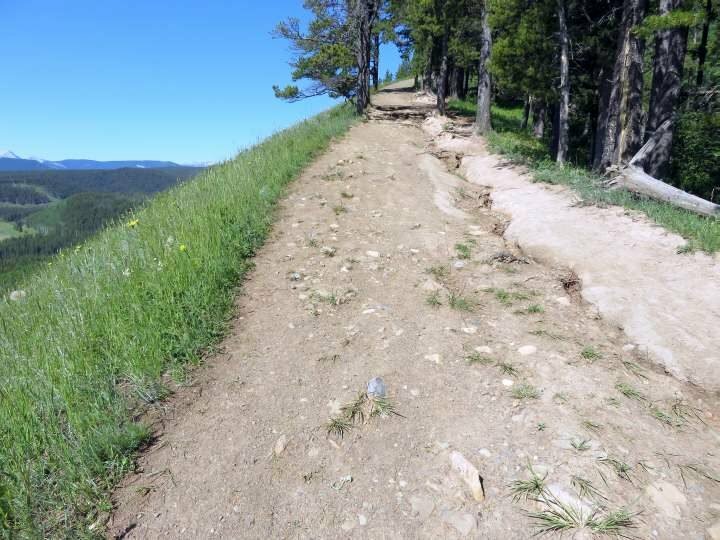 Some people prefer to take the right side of the trail and avoid the quick elevation gain. Also this leaves the views for the latter portion of the hike rather than near the beginning. I prefer the opposite. I enjoyed the workout at the beginning of the loop and took it easy the rest of the hike. This is also why I enjoyed Ptarmigan Cirque hike so much. 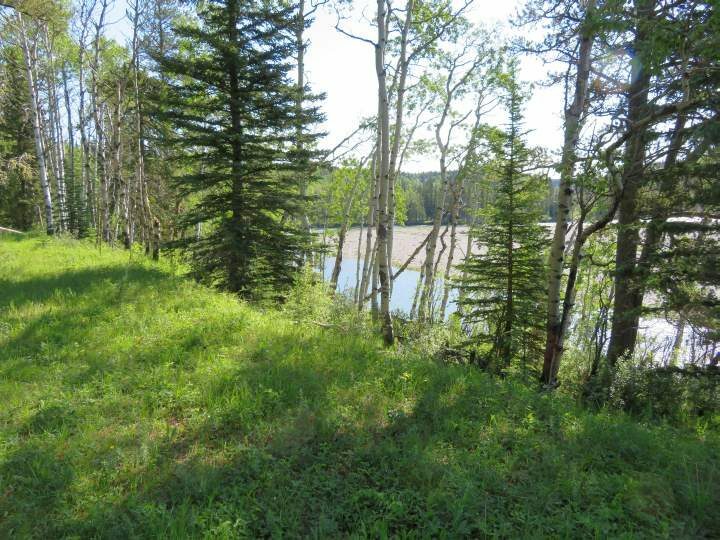 Enjoy views of the Elbow River and mountains in the background from Fullerton loop. Much of the hike is through the forest. There are a meadows with wildflowers. Fullerton Loop is a busy trail so you’ll likely see other hikers along the way. It’s a great trail for hiking alone. There is bench in a shaded area which would make a nice spot for a picnic lunch. Shortly after the bench you will see a sign marker for Fullerton Loop pointing to the right. A map of the trail is located roughly at the halfway mark of Fullerton Loop. Another map of Fullerton Loop trail is a little further along the trail. 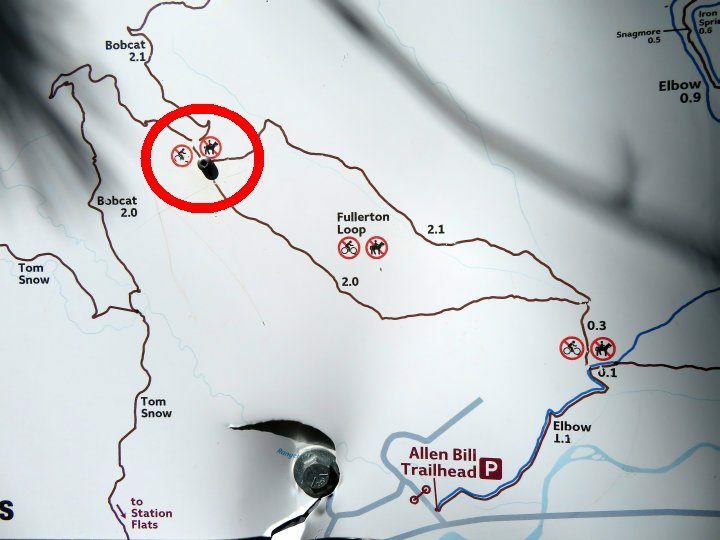 The map (shown below) is from before the trailhead changed to its current location. Before the 2013 flood the Fullerton Loop trailhead began on the Allen Bill Day Use parking lot and crossed under Hwy 66. It took me 2 hours to complete the hike with a few stops to take in the views and several stops taking photos along the way. 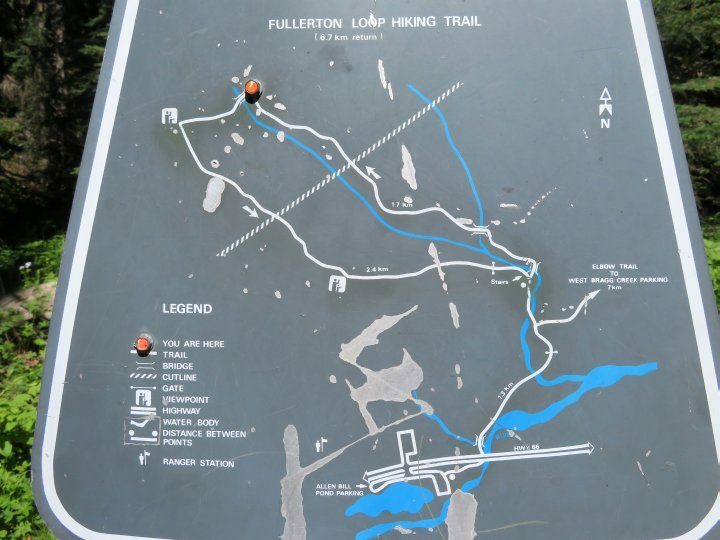 How long to hike Fullerton Loop? 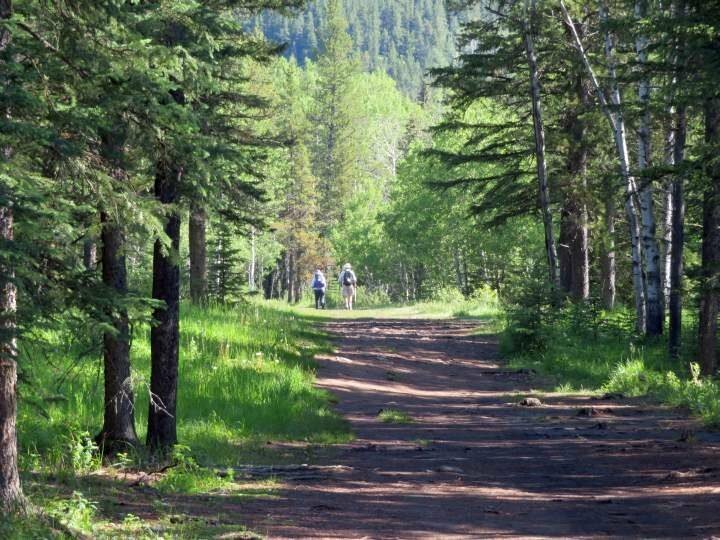 Are dogs allowed on Fullerton trail? 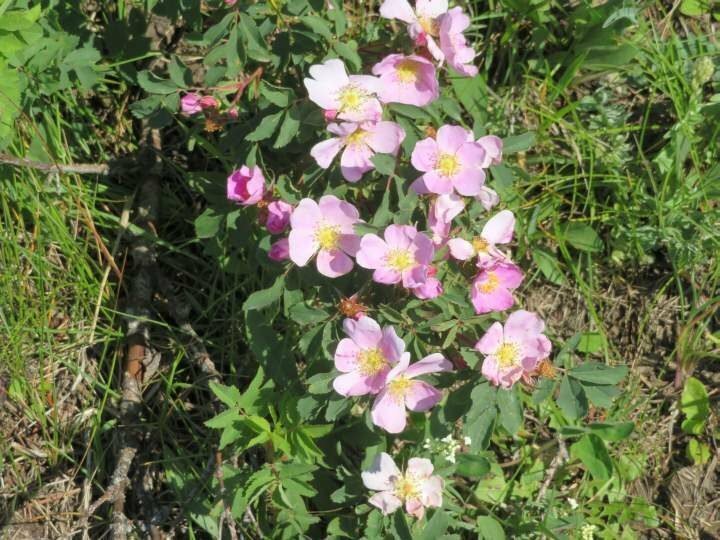 Take Hwy 201 Stony Trail to Trans-Canada Hwy 1 West. 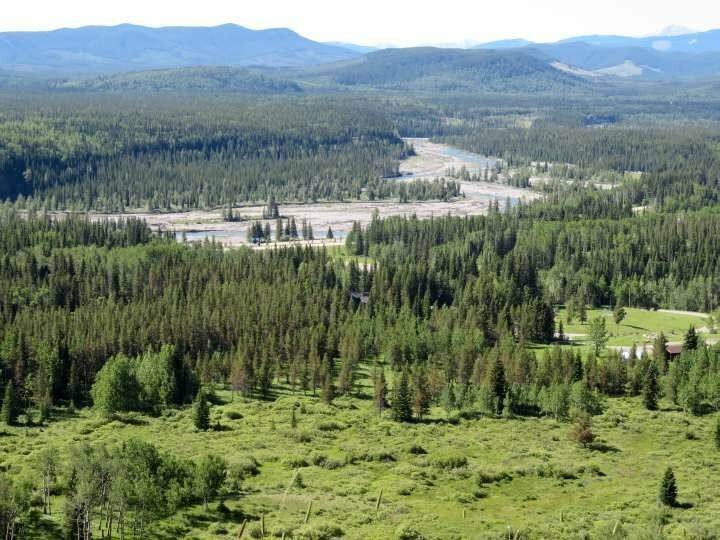 Take exit 161A for Hwy 22 South toward Bragg Creek. Follow Hwy 22 for 21 km (13 miles) and turn right onto Hwy 66. Continue for 11 km (7 miles) and turn right onto Ranger Creek Road. Follow 6 Avenue to Bow Trail SW and continue on Bow Trail SW to the Crowchild Trail S exit. Take Crowchild to exit 1 Glenmore Trail West. At the roundabout take the 3rd exit to Hwy 22 South toward Bragg Creek. Follow Hwy 22 for 21 km (13 miles) and turn right onto Hwy 66. 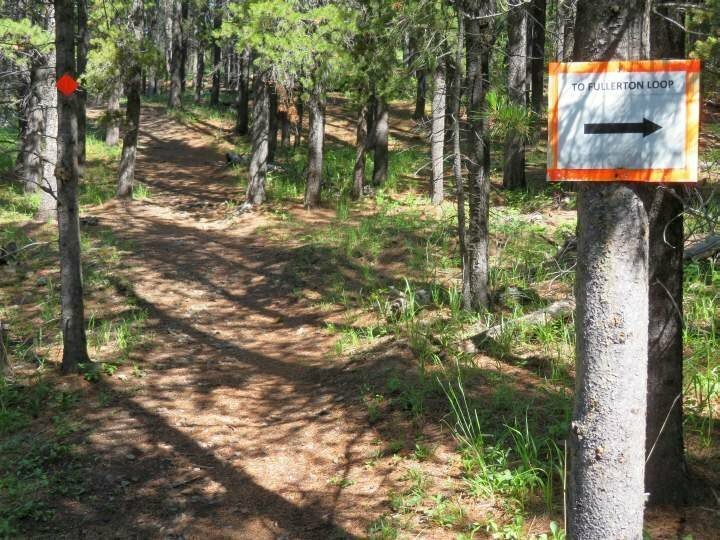 Continue for 11 km (7 miles) and turn right onto Ranger Creek Road. 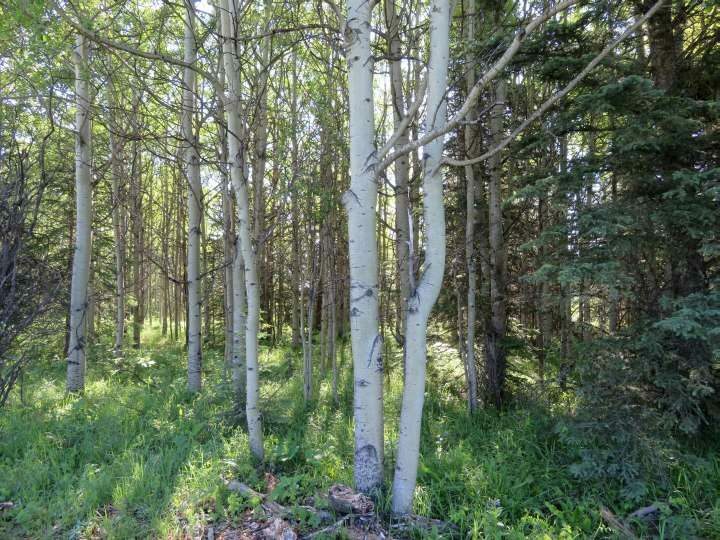 Get on Hwy 201 Stony Trail to Hwy 22 towards Bragg Creek. 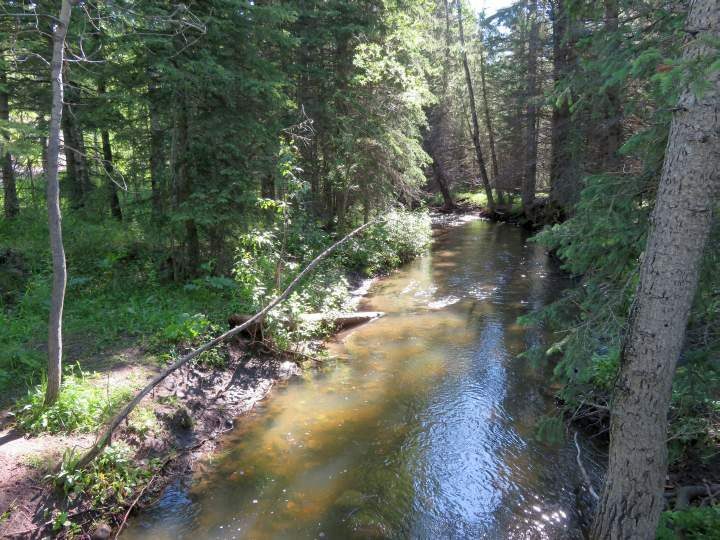 Continue west on Hwy 66 for 11 km (7 miles) and turn right onto Ranger Creek Road. 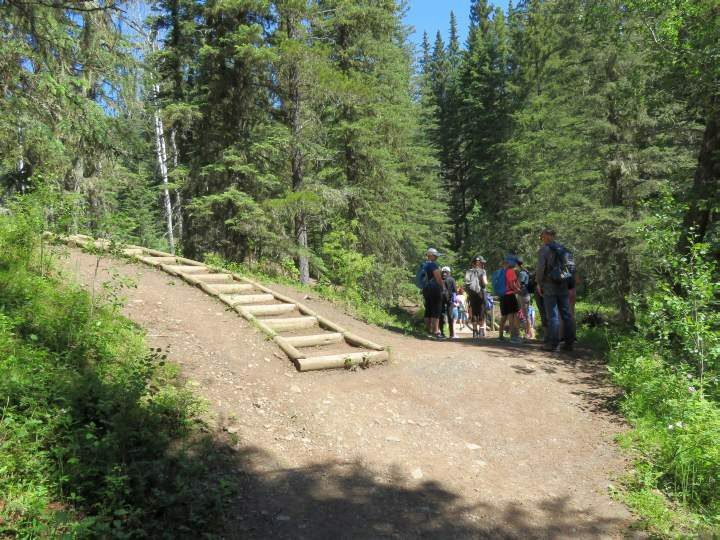 Enjoy hiking in Kananaskis Country, one of the best places for hiking in Alberta.